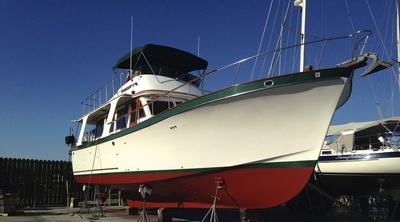 Bottom jobs are a good investment of time and money for any boat owner. Even though boats are made for water, it can take its toll on a vessels structure. Ignoring the bottom can lead to rotten wood and structure damage. 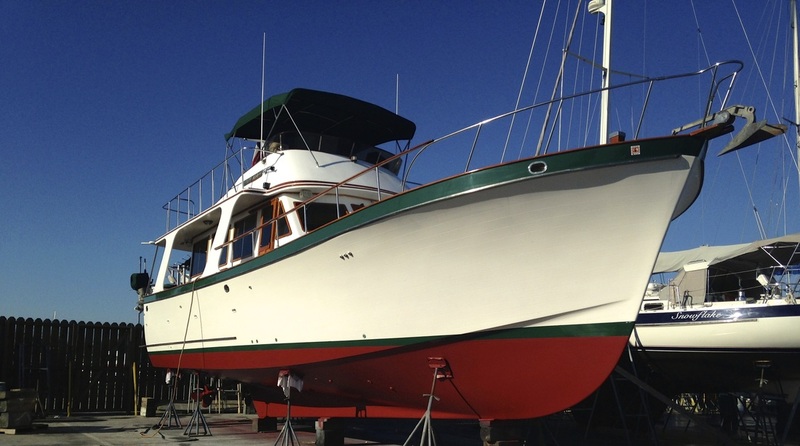 A straightforward bottom job that needs no extensive repairs takes 2 or 3 days, then its back in the water and ready for you to enjoy again. For those of you who are not to familiar with the bottom jobs process we’ll give you a basic explanation as to how they are performed. After your boat is hauled, pressure sprayed and securely blocked on the hard our experienced crew checks the bottom thoroughly for any imperfections, such as blisters. 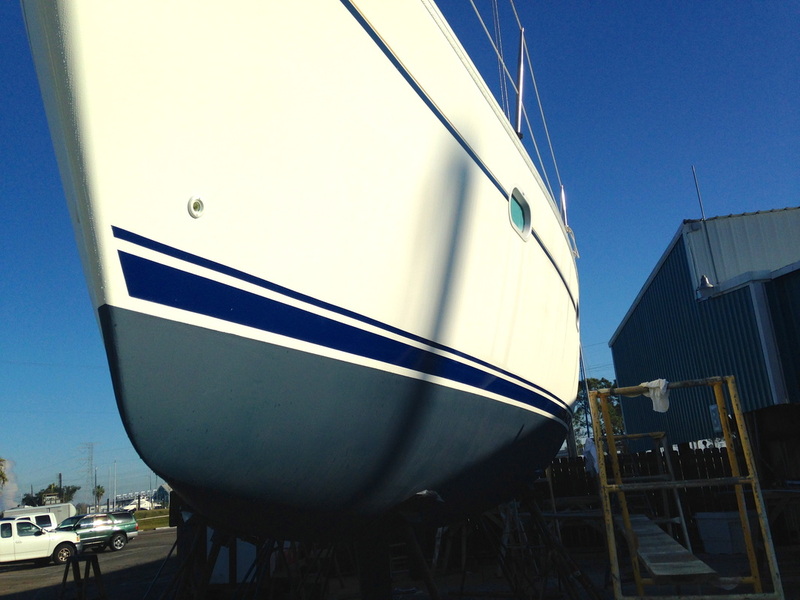 Blisters can be in the paint or a deeper problem penetrating into the gellcoat. This inspection must be done quickly after being hauled because as the water evaporates, minor blisters start to disappear and larger ones become difficult to recognize. If there are blisters found we mark them, making it easy to find and repair once the vessel is completely dry. Next, the old bottom paint is removed, which can be an extensive process. The goal of removing the original paint is to return the bottom to an unpainted scuffed-up gelcoat state. Removing the old bottom paint and cutting into the gelcoat can be only a matter of a few thousandths of an inch, and best left to our team of highly trained experts. Not only can it be a danger to your boat, but the residue from the bottom paint contains a large amount of chemicals so a mask and body protection must be warn in the process. After the old paint is removed the bottom must be washed, and dried completely. After the bottom is fully dry the vessel is then taped off and ready for its new coat of specialized paint, which will give it protection from potential damage, and keep it in optimal condition. We are dedicated in providing top quality professional service with everything we do. If you have more questions or would like to receive a quote please come by our office at Seabrook Shipyard, give us a call, or send us a quick message on our contact us page. We look forward to hearing from you! When should my rigging be replaced? We recommend a full rigging inspection annually or before an offshore trip to make sure everything is functioning as it should. 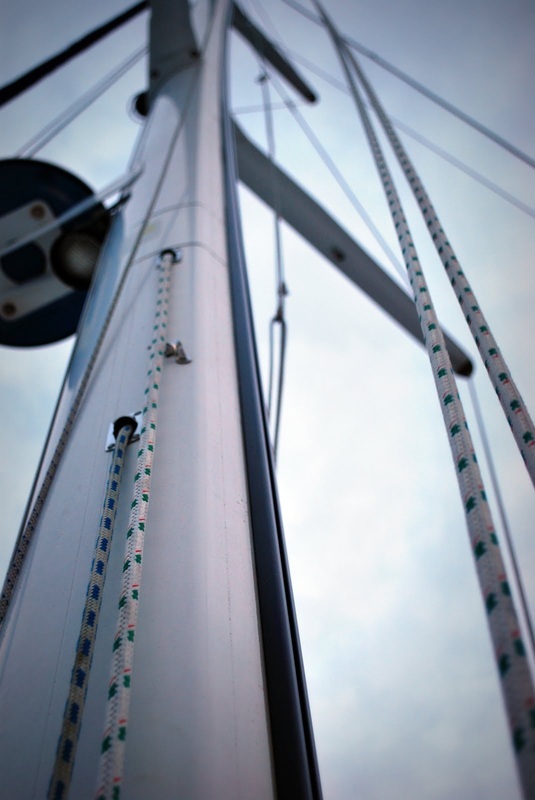 With that said, this is a tough question to answer, there are many different variables to take into consideration when talking about the life expectancy of rigging equipment such as quality of the materials and installation, environmental conditions and water salinity amongst other factors. While there is no definite rule as to when you should replace it, there is one rule that stands: one day it will all need replacing-wire, toggles, turnbuckles, clevis pins, swage fittings and couplings. However, having top quality parts and proper professional installation on top of inspecting you're rigging for such things as poor tensioning and misalignment regularly will maximize its life expectancy. 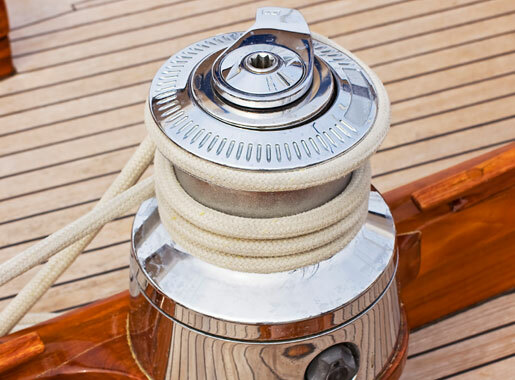 So while there is not an exact magical number of years rigging equipment should be replaced it is typically recommended to replace wires every 10-12 years for the average cruising vessel, assuming the terminals and end fittings are up to par. But its always best to let us inspect your equipment for you, to ensure safe and happy outings on the water.